Please take a look at our photographs from throughout our school. Please take a look at the beautiful poppies that our children made for Remembrance Day. Look what staff have been presented with. A wonderful cake made from a very talented parent as a thank you. 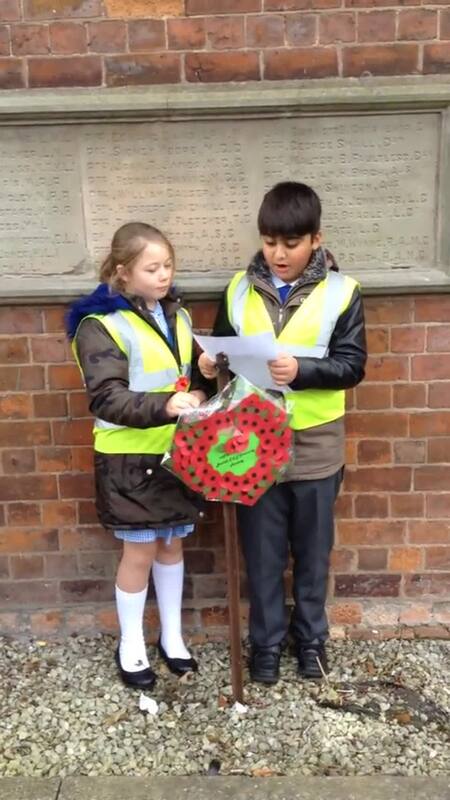 Children visited the church memorial and laid a wreath of poppies to remember the fallen. They read a poem and the video and words are found below. In Flanders Fields by John McCrae, May 1915.